Ready to score some bargains on shoes, apparel and accessories? 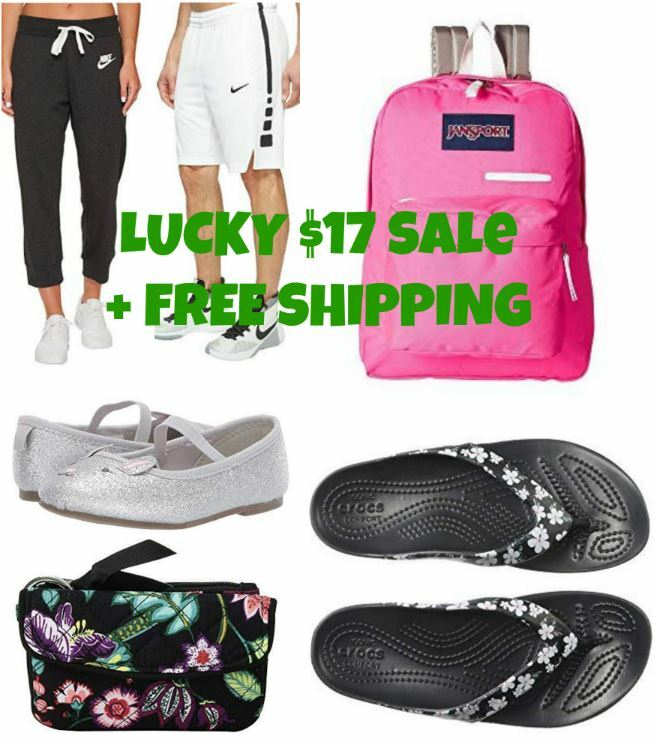 If so you're in luck because today 6pm is hosting a lucky $17 sale and everything ships for free! View all of the deals HERE. Hurry sizes are selling out fast.